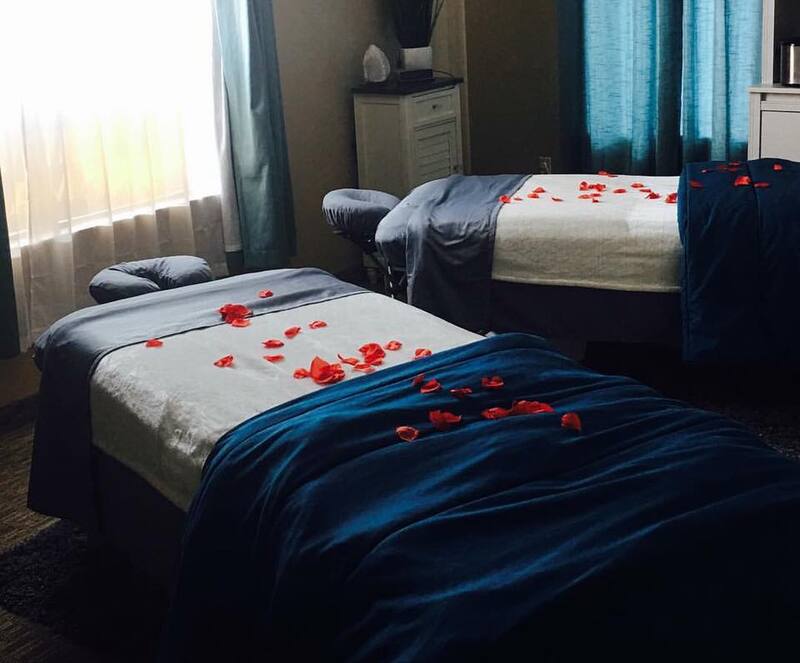 Not only are the Vivid Soul Bodywork studios beautiful; they are also spacious and roomy enough to accommodate two massages at once. That means you & yours can receive that wonderful bodywork experience together in the same room. Each therapist will provide bodywork specific to each of your needs. If one desires Deep Therapy, and the other just wants to relax; you will each receive the unique bodywork that will leave you feeling absolutely wonderful. Couples Massage is a great way to enhance a date night out. It is also a wonderful way to celebrate an anniversary or other relationship milestone. Whether you are husband & wife, partners or friends; Couples Massage promotes being together. In one studio, we setup two massage tables. The two of you are always together, with the heads of the massage tables angled towards each other. Some people love to converse with one another during the session, while most enjoy peace & quiet just knowing that special someone is right next to them, feeling wonderful. What is the right Couples Massage for you? Each person will consult with their therapist to determine what types of massage and bodywork should be incorporated during the session in order to achieve the best possible experience. During the session your therapist will check in periodically to ensure that you are receiving the right pressure & touch for your session. This is an Aroma Therapy based massage. Eight different Doterra® essential oils are applied to the back, neck and feet during this relaxation based massage. You and your therapist will discuss the preferred pressure, firmness and any special therapeutic bodywork that might also be addressed during the session. Simply the most luxurious, relaxing and therapeutic massage experience available. Vivid Soul uses smooth basalt river stones, warmed to perfection to melt your muscles, melt your body and melt your stress away. You and your therapist will determine if any additional therapeutic hot stone work is necessary, as well as discuss preferred pressure and firmness for the overall massage and hot stone experience.